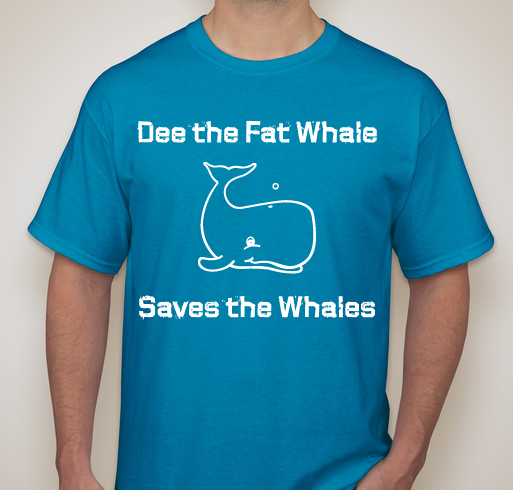 Buy a shirt to provide money for the Save the Whales Foundation. You can help protect endangered whales and stand against cyber bullying! All funds raised will go directly to SAVE THE WHALES INC .
All profits are going to the Save the Whales foundation. I have specifically requested that the money go to helping endangered Vaquita whales. After someone in my high school made a fake Twitter account calling me a whale and photo shopping whales over my sports picture I decided to take action. 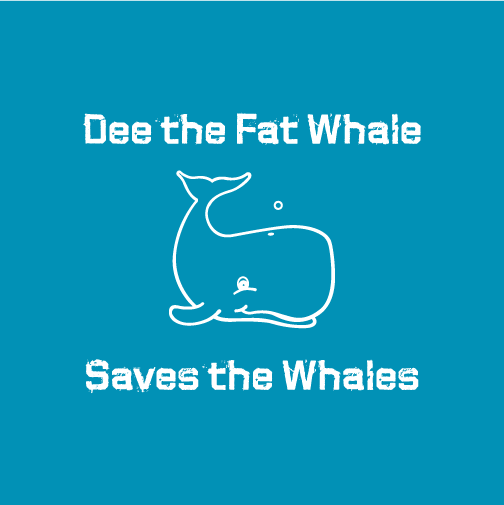 Instead of letting those bullies get to me I decided to start the campaign Dee the Fat Whale Saves the Whales, making reference to the twitter account made about me "Fatwhaledee." My friends and I are now raising money to help endangered whales such as the Vaquita. Dee is a BAMF and this shirt is amazing. In 5th grade, I had a boy tape a piece of paper to my back. It said "whale". They were never called bullies when I was a kid. I'm thankful there is awareness now and very glad to support Dee and her efforts. Anyone that persecutes a person on their looks & does not see their heart will eventually feel the pain they have inflicted, Karma is always waiting to come around. Dee is amazing and inspiring. Whales are OK too. Share Why You Support "Dee the Fat Whale Saves the Whales"